Martina Lavery Dental & Skin Studio in Winston Hills, in the Hills district of Sydney, offers comprehensive dental care and skin rejuvenation services. Martina Lavery has 17 years’ experience practising dentistry in the Hills District of Sydney. Martina Lavery Dental & Skin Studio provides world-class dentistry for patients of ages with the aim to support overall health and confidence through prevention, tooth-coloured restorations, tooth-replacement, life-changing cosmetic dentistry and much more. Ageing is unavoidable, but protecting and enhancing what you have can help you maintain a youthful and fresh appearance that defies your years. From wrinkle prevention to corrective skin treatments, Dr Lavery expertly delivers natural results that improve self-confidence. I believe that good dental health and positive dental outcomes can last a lifetime when the patient and dentist endeavour to do their best! Your child's smile is precious. As a parent, we understand that paediatric dentistry is an integral part of your child's healthcare. Dr Lavery helps children develop excellent oral health skills and a positive attitude toward caring for their smiles by providing gentle and modern children's dentistry in a comforting atmosphere. We ACCEPT children under the medicare Child Dental Benefit Scheme. Children between the ages of 2 and 17 who receive certain government payments are eligible for cover of $1000 over 2 years. We do direct claiming on site, and check you eligibility at the time of your appointment. Go to https://www.humanservices.gov.au/individuals/services/medicare/child-dental-benefits-schedule to find out more. Welcome to Martina Lavery Dental & Skin Studio, the practice of Martina Lavery, a Sydney dentist with 17 years of experience. We welcome new patients of all ages from the Hills District and neighbouring communities. Martina specialises in cosmetic dentistry as well as family dentistry and is well-regarded for her ability to quickly develop an easy rapport with children. Martina Lavery Dental & Skin Studio takes a patient-centric approach to all of our treatment. We’re committed to helping you look good and feel great, with a particular focus on preventive dentistry and skin rejuvenation. We strive to stop problems from arising in the first place. Whether you’re coming to us to replace metal fillings with white fillings; for regular dentist checkups, cleans and fluoride treatment; or for extensive care, we aim to ensure that every interaction has your best interests at heart. Ultimately, we want to change the perception of dentistry, ensuring your visit is anxiety-free and that you feel in control. We want you to be highly pleased with the results. As well as offering family dentistry services, including fluoride treatment and check-ups, our cosmetic dentistry services include placement of fillings and removal of old ‘silver’ fillings, porcelain veneers, porcelain crowns and crown replacements. Restorative dentistry services include bridges, crowns, implants and dentures. We see a lot of patients who want to replace these with modern, metal-free, advanced bonded options which are minimally invasive of the tooth structure. We also offer dental extractions, although our philosophy is preventive care, which reduces the need for extractions in most patients. We provide minor oral surgery procedures such wisdom tooth removal, or bone grafting immediately after extractions. Of course, we treat toothaches and broken teeth that require an emergency dental appointment, which will be offered on the same day. We also offer TMJ diagnosis and treatment for sleep apnea, and other issues stemming from oral ill health are also treated. Our skin rejuvenation treatments are designed to complement your smile! All skin consultations start with a thorough skin screening so that we can best advise your course of treatment. Skin rejuvenation treatments can help lift, plump, tighten and brighten your face and décolleté area, shedding years off your appearance. When you look good, you feel good too! We only use the latest state-of-the-art technology and materials. 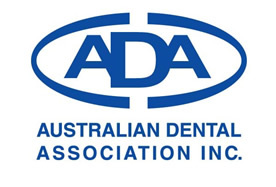 Martina Lavery is qualified with the Australasian Academy of Dento-Facial Aesthetics team. Skin treatments include cosmetic injections, as well as skin needling, peels and masks. Check out our skin rejuvenation treatments. Don’t let your anxiety compromise your dental health. Anxiety in dentistry is widespread. Whether you’re fearful of pain, have had a bad experience in the past with dentists, have complex dental problems or extremely sensitive teeth, we can help. Dr. Martina prides herself on giving pain-free injections, using a topical anaesthetic on the gums prior to any injections. We offer pain relief and sedation to make procedures comfortable for even the most anxious of patients. Sedation is standard practice for patients undergoing extensive care such as multiple root canal treatments or oral surgery. Ultimately, we want to encourage you to pursue optimum oral and dental health, which means regular visits to the dentist to avoid these situations occurring in the first place. For anxious dental patients, we have several sedation options that are non-invasive, safe, affordable, and effective, enabling you to relax as we complete your dental treatment. For patients who are fearful of needles, we offer several oral sedation treatments. In some cases, sedation treatments also induce sleep or cause short-term amnesia, so you won’t remember much of your treatment. In all cases of sedation, we strictly adhere to best practice. Sedation is always administered by a registered visiting anaesthetist, who can continually adjust the sedation levels to suit your specific requirements. In the case of moderate to heavy sedation, we’ll advise you to bring a responsible adult along who can drive you home following your treatment. If you have further questions about our services, please give us a call. Are you getting married soon? If so, please join us at Castle Hill's Annual Wedding Expo. When: Sunday 2nd June 2019 10am to 3pm. To register please go to Wedding Expo Australia.